Click here to download the 2019 Financial Stewardship Packet. When you link your Kroger Plus card to St. Innocent Orthodox Church using the Kroger Community Rewards program, our community earns money every time you shop. It is free to use and does not take away any other Kroger Plus card benefits. Search for St. Innocent Orthodox Christian Church by name or number (SJ072). Select St. Innocent in the list of organizations, then click the Enroll button. That’s it! 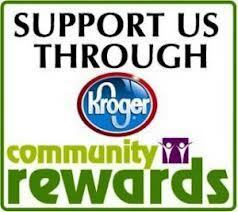 Every time you shop with your Kroger Plus card, St. Innocent Church will earn money. AmazonSmile is a simple and automatic way for you to support our church every time you shop, at no cost to you. When you shop at smile.amazon.com, you’ll find the exact same low prices, vast selection and convenient shopping experience as Amazon.com, with the added bonus that Amazon will donate a portion of the purchase price to St. Innocent Church. On your first visit to AmazonSmile (smile.amazon.com), you need to select St. Innocent Orthodox Church Macon, GA to receive donations from eligible purchases before you begin shopping. Amazon will remember your selection, and then every eligible purchase you make at smile.amazon.com will result in a donation. Anyone can choose our church as their charity so please tell your friends and family. To select our Church at AmazonSmile, click here. To shop at AmazonSmile simply go to smile.amazon.com from the web browser on your computer or mobile device. You may also want to add a bookmark to smile.amazon.com to make it even easier to return and start your shopping at AmazonSmile. (You must shop at smile.amazon.com for the church to benefit). You use the same account on Amazon.com and AmazonSmile. Your shopping cart, Wish List, wedding or baby registry, and other account settings are also the same. If you have any questions or problems signing up, please contact Diane Dorogy for help. To select our Church at AmazonSmile, click here. Don’t forget…..Please go to smile.amazon.com and select our church as your charity and share with you friends and family too. :) Thanks! !